It’s official – Patterson Veterinary and Cure Partners have formed a new joint venture, called Technology Partner Innovations, LLC. This partnership brings together the strengths of both companies to develop and support NaVetor veterinary cloud software. Patterson Veterinary brings a strong history of expertise in veterinary software training, sales and support, plus a deep knowledge and rich history of serving veterinarians across the U.S. The end result is a new kind of veterinary software, built from the cloud up. 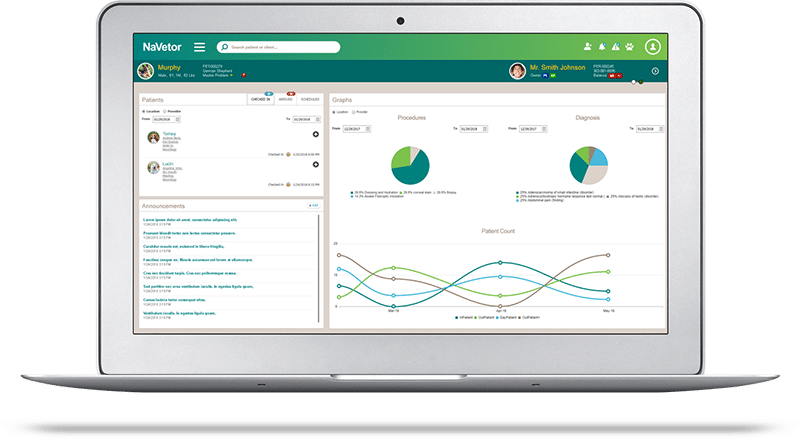 It draws upon best practices from the medical software industry to improve practice management for veterinarians, delivered in an affordable, convenient way. Read the full news release from Patterson here.